I recently traveled to Yemen to see how Oxfam and our partners are helping people survive the world’s largest humanitarian crisis. 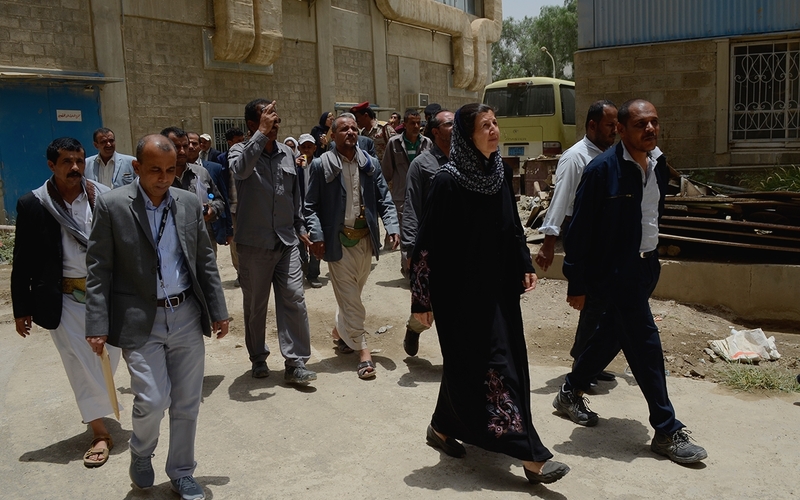 During my visit to Sana’a and areas north of this capital city, I met members of devastated communities and businesses, and witnessed the myriad socioeconomic and political implications of an already impoverished country that is being ravaged by civil and geopolitical instability. Thanks to your generous support, Oxfam is providing lifesaving assistance—both immediate and long term; in fact, we have helped more than three million Yemenis since March 2015. In just one site I visited, for example, an Oxfam-supported water system supplies 25,000 people with clean water, a crucial service in a country where cholera is raging. Working alongside our partners, we are fixing wells and installing solar water pumps, trucking in clean water—particularly to camps of internally displaced people—and promoting good hygiene to fight the cholera epidemic. In the town of Khamer, where there is a large camp of internally displaced people, Oxfam’s livelihoods program is helping 530 households with conditional cash grants and training some of these people to start businesses—including shops, livestock breeding, and beekeeping—to generate income. Women who are participating told me they felt their self-worth, self-confidence, and psychological stability had improved as a result of making their own money. 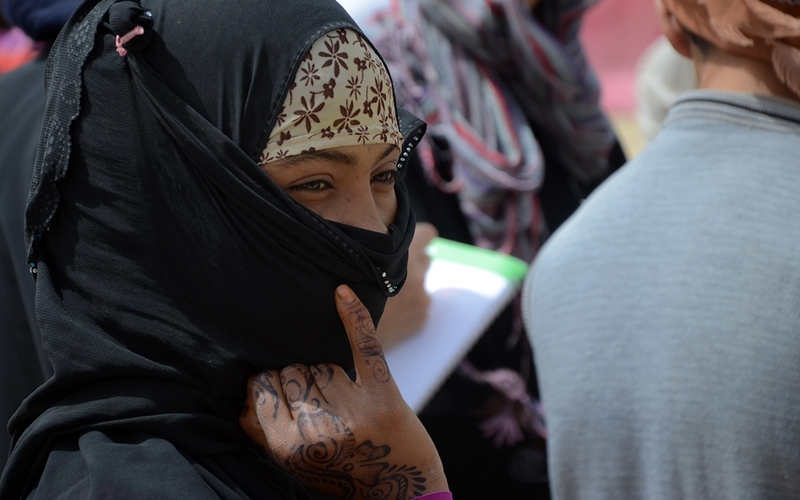 We work with extraordinary local partners in Yemen, organizations that are extremely capable with long histories of development and humanitarian work in the country, as well as experienced human rights activists. 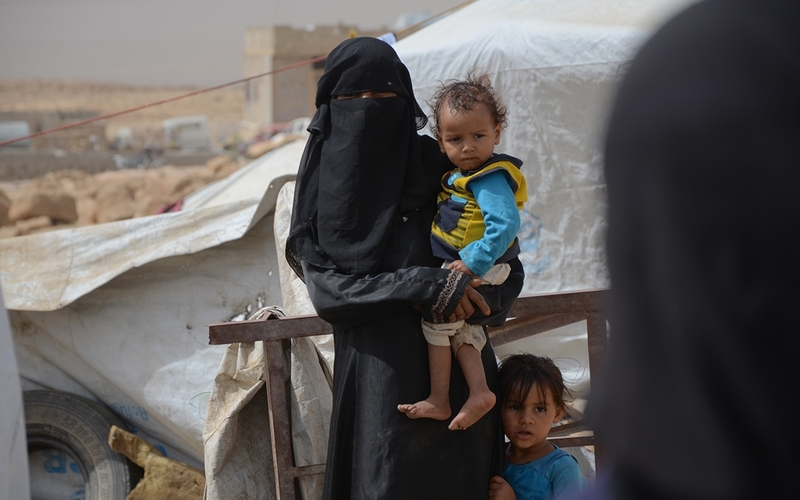 Organizations such as the Yemen Family Care Association, which has provided reproductive health services in Yemen since 1976, have expanded their work to include the delivery of humanitarian aid. Others, like the National Foundation for Development and Humanitarian Response, have built substantial relief operations that began with the initiative of local communities. But the needs are still great. More than three years of protracted conflict in an already impoverished country have left three-quarters of its 29 million citizens in need of humanitarian assistance. 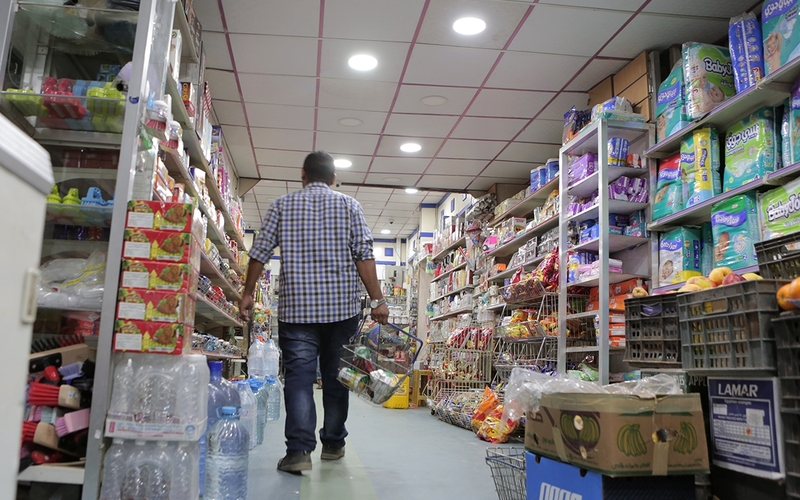 For many Yemenis, survival is a daily challenge in near-famine conditions. I met with women and children who were surviving on one meal a day. Across Yemen, 1.8 million children and 1.1 million pregnant and breastfeeding women require treatment for acute malnutrition. In the port city of Hudaydah alone, as of June 2018, 300,000 children are at risk of starvation or of being injured or killed. 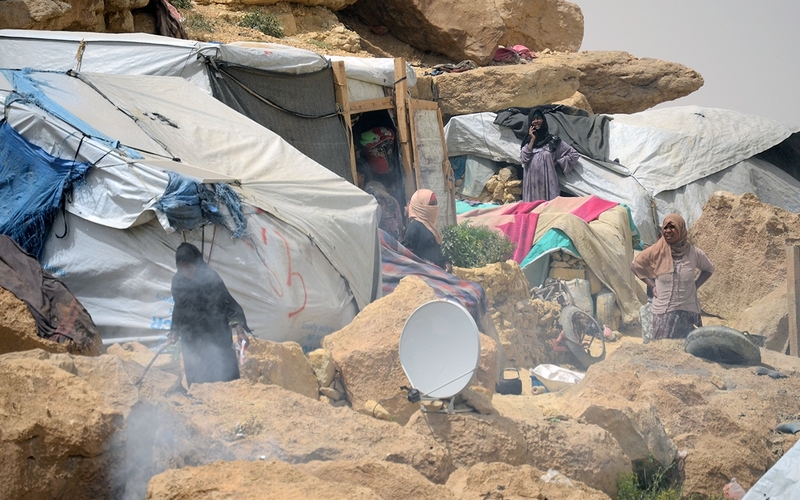 Beyond the 16,000 civilians killed, much of Yemen’s infrastructure, water systems, roads, hospitals, schools, ports, and many small and large businesses have been damaged or destroyed. And 8.4 million Yemenis are now on the verge of starvation. The parties to the conflict are aware of all of this, but they appear almost totally indifferent to the suffering of civilians. Their policies continue to drive up the price of food and key household commodities. Instead of urgently seeking a political settlement to the conflict, they keep trying to squeeze the other side. The US government supports the coalition led by Saudi Arabia and the United Arab Emirates that is responsible for the majority of civilian casualties in the war. As Americans, we must demand an end to the arms sales and other forms of support that fuel the conflict. While all sides are responsible for horrific violations, it's our job to make sure all of them know the international community won't keep enabling this war. The human cost of the conflict is incalculable, not only in lives lost, but in lives disrupted, in futures not lived. I came away feeling a great sense of responsibility to carry back to the US the stories of the brave and resilient people we support and serve. I have brought their voices to advocacy visits and media meetings since my return. I have met with Senator Todd Young (R-IN), a champion on the humanitarian response in Yemen, and Senator Jim Risch (R-ID), chairman of the Senate Foreign Relations Subcommittee on Near East, South Asia, Central Asia, and Counterterrorism. I also met with the permanent representative of Peru to the UN, who is the chair of the Yemen Sanctions Committee at the UN, and the UK-UN Mission political coordinator. Each of these leaders is working to bring the parties to the negotiating table—something that has gotten renewed traction for the first time in two years. With your ongoing support, we will continue to influence that effort until there is progress in bringing an end to the violence and suffering of the people of Yemen. Read more about our work in Yemen and take action.